Ocean economy planning has lately acquired urgency and spurred the concept of ‘Blue Economy’. Maritime countries like Bangladesh have evinced interest in it to safeguard and advance their oceanic destiny. Following successive international maritime verdicts (2012/2014) largely favourable to Bangladesh, it has embraced Blue Economy as a strategic approach to access the resources underneath its newly acquired oceanic possessions. However, concerns arise whether pertinent conceptual issues are appropriately appraised and managed; whether critical empirical issues are measured, and whether the actions for maritime planning currently underway represent the progression required to overcome the emerging ecosystemic threats or building of what is enshrined under the Blue Economy. With a view to evaluate such issue areas, the paper offers a fuller clarity of a sustainable ocean economy and other pertinent notions, identifies key conceptual issues, and relates them to the developmental thrusts under the Blue Economy that are currently underway. Finally, it reflects on the adaptability of the Blue Economy model, as Bangladesh pursues policies to fix its oceanic destiny. Thoughts are also offered on the challenges that may circumvent successful implementation of the Blue Economy planning in Bangladesh. Against this backdrop, the current contexts of Bangladesh’s ocean economy planning and the criteria chosen are scrutinised, underlining several cases where the projects embarked under the Blue Economy model seem incompatible with that model’s objective features and may impede sustainable ocean economy planning towards fixing the country’s maritime destiny. Tentative ideas are floated to sensitise Pakistan in its ocean economy planning. The prospects for peace between India and Pakistan further diminished after their relations entered into a new phase of antagonism in 2016. India stressed the issue of terrorism more forcefully as a principal irritant in bilateral relations after the Uri terrorist attack in Indian Held Kashmir (IHK) in September 2016. The growing gulf on core issues between the two countries and attaching peace with a one-point agenda has acted as a disincentive for the peace process. India has refused to engage with Pakistan despite Pakistan’s repeated overtures and has continued to blame Pakistan for the turmoil in IHK as well as sporadic terrorist attacks. The existing tense relations between India and Pakistan are a product of longstanding grievances and changing dynamics in Indian power and policy. India’s transition from Nehruvian secularism to communal and Hindutva politics has further complicated its political engagement with Pakistan. Since the dialogue process cannot be resumed in such circumstances, the prerequisite for the peace process is normalisation in relations. In the backdrop of the troubled relations between India and Pakistan, this paper attempts to analyse the major stumbling blocks to the peace process. The paper is divided into three sections. After an overview of the troubled relations between India and Pakistan post-2014, the first section analyses the core issues between the two countries. In order to understand why the core issues have become stumbling blocks, the second section examines the contributing factors to the persistence of rivalry. The third section proposes options for normalisation of relations and the peace process. Indian nuclear policy has evolved over time through different phases of nuclear weapon development. This process has been slow but consistent. Prestige and technological factors, as well as domestic politics, have been the core drivers of Indian nuclear development along with security. These drivers have been operational during different phases of Indian nuclear development. Decision-making about Indian nuclear policy has been restricted to the top leadership, bureaucracy, and scientists. Its evolution has fluctuated between the ideologies of these actors. Nehru was a Gandhian at heart but he was pragmatic in a sense that he started the peaceful nuclear programme in India with a view that it would help India in making a nuclear weapon at a later stage when required. Although the scientists have been staunch supporters of nuclear weapons, the political leaders had been hesitant to endorse them until the perception changed about nuclear weapons and they started to be considered as a source of national prestige. The aim of the Indian nuclear policy is to correspond to the overall worldview of India as a great civilisation and its projection as the largest democracy. Economic conditions play a vital role in determining the behaviours of individuals, as well as communities. Marvin Harris and Henry Hazlitt are major theorists who have shown that. Their theory is highly applicable, especially to South Asian literature, which is a reflection of postcolonial as well as trans-cultural societies. This research paper is an investigation into the relationship between economics and social behaviour with reference to Pakistani novelists who have sketched the picture of the class difference in South Asia, especially in Pakistan. Moth Smoke (2000) and How to Get Filthy Rich in Rising Asia (2013) by Mohsin Hamid and The Unchosen (2002) by Riaz Hassan vitally apply to all South Asian countries. The novels reflect gradual changes in human behaviour towards money. Money, especially lack of it, plays a vital role in shaping and reshaping the morality and ethics of different classes of society. The paper also studies the effects of ‘alienation’ on the economically under-privileged created by a capitalist system and how imaginary identification with exploitative and unnatural social and cultural practices perpetuates class divisions. Regional Studies is a quarterly journal. It is Higher Education Commission Recognized peer-reviewed journal. It covers a wide spectrum including foreign and internal affairs, economy and industry, science and technology, sociocultural aspects and security related issues. 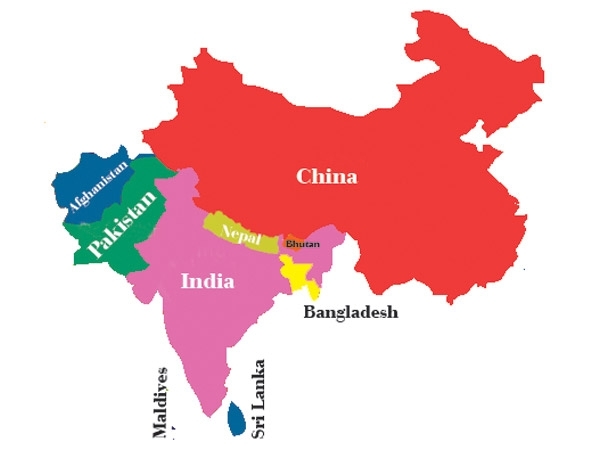 The countries that fall within the purview of the study are India, Pakistan, Bangladesh, Sri Lanka, Nepal, Maldives in South Asia, Afghanistan, Iran and the Gulf States in Southwest Asia and five republics of Central Asia, beside China and Indian Ocean. 38-W 4th Floor Khalid Plaza Jinnah Avenue Blue Area Islamabad, 44000, Pakistan.